Sheringham lies on the North Norfolk coast between Weybourne and West Runton. Originally it was a small fishing community - but after the railway arrived in the late 19th Century it flourished as a holiday resort. 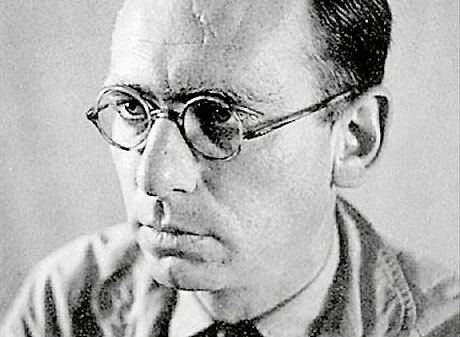 The playwright and novelist Patrick Hamilton lived in the town for many years. He was famous for his play Rope which was later filmed by Alfred Hitchcock and for novels such as The Slaves of Solitude, Hangover Square and 20,000 Streets Under the Sky. He was cremated and his ashes were scattered at Blakeney. J. B. Priestley described him as 'an unhappy man who needed whiskey as a car needs petrol'. In 1919, the composer Ralph Vaughan Williams lived and worked at Martincross; it was here that he wrote his 'Sea Symphony'. 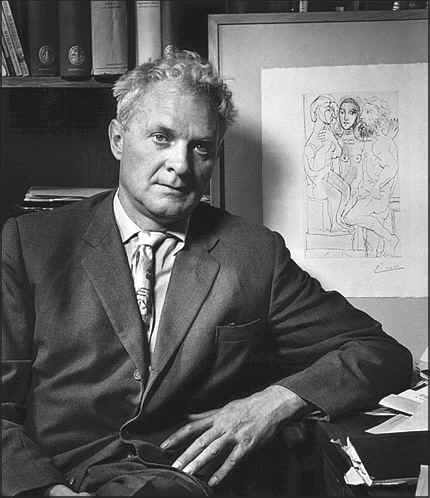 The poet Stephen Spender (1909-1995) used to spend his holidays in Sheringham. His family leased a house on the cliffs here called 'The Bluff' and Spender was greatly inspired by the nature and landscape of the area. Later he attended Gresham's School near Holt - where W.H. Auden was also a pupil. Another literary 'shannock' is the biographer Magdalen Goffin who was born in the town. In 2006 she published a biography of her father E.I. Watkin entitled: The Watkin Path - An Approach to Belief. Watkin, who was a influential theologian and historian, designed and built his own house in the town (St. Mary's) - which still stands today. She had previously written a biography of her grand mother Maria Pasqua - who was taken from Italy by her father on a tour of Europe and subsequently inspired painters in Paris before being 'bought' by an English Countess. Maria later married a Norfolk doctor called Philip Shepheard and lived at both Gayton and Erpingham. Sheringham was also the childhood home of Allan Smethurst - aka the Singing Postman. He lived at 48, Cliff Road for many years and, later in life, received a three year probation sentence for banging on the door of the house while drunk and refusing to leave. The Great Eastern Railway Line, which opened in 1883, brought many Victorians to the North Norfolk coast - including Clement Scott. Scott, who was a theatre critic and writer, helped to popularise the area by referring to it as 'Poppyland'. The Sheringham to Holt section of the line was closed during the Beeching cuts of the 1960s - but was reopened by volunteers in 1975. It is now commonly known as 'The Poppy Line' - although poppies are less evident these days due to the use of modern herbicides.